Ester Gofer and Efrat Roman are the co-founders of CureDiva.com, which is the first ever personalized lifestyle solutions online shop for women facing Breast Cancer. CureDiva offers a one-of-a-kind high-end shopping and community platform that provides women at every breast cancer treatment phase with all of their lifestyle needs. CureDiva's mission is to help women facing breast cancer better their lives with style. They recently held a launch party at the Bryant Park Hotel to not only launch the website, but also bring awareness to the disease and the specific needs of the women who are diagnosed. E! 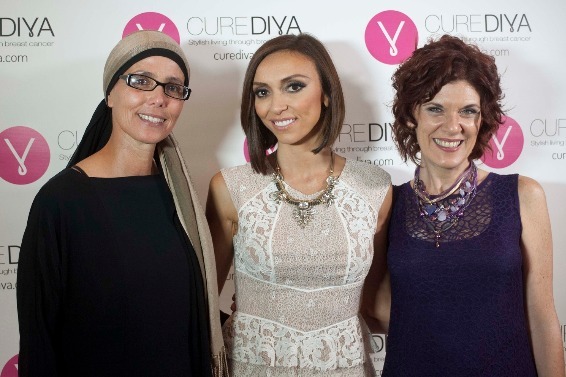 News' Giuliana Rancic made a special guest appearance to open up about her own experience with breast cancer and how proud she is to team up with CureDiva to help women feel beautiful and feminine amid a diagnosis. 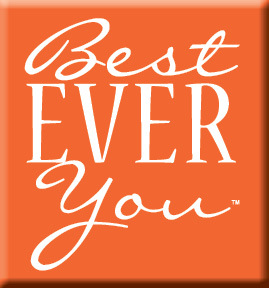 Giuliana also graciously agreed to this feature on BestEverYou, as well as, co-founders Ester Gofer and Efrat Roman will also be appearing on The Best Ever You Show, TBA. Pictured: CureDiva's Ester Gofer, Giuliana Rancic and Efrat Roman. Were you always passionate about healthy living or did your breast cancer diagnosis ignite a new passion in you? Giuliana: I have always lived a healthy lifestyle, but once I was diagnosed with breast cancer I was more lenient with my diet and exercise. Rather than being so caught up on eating healthy and working out, I splurge much more than I used to. I still live a healthy lifestyle. Instead of going to the gym 5 times a week I go maybe 1 or 2. I still take care of myself and I still live a healthy lifestyle, but I realize now Life is short and life is precious. I can’t think about the gym every day. I have to be with my husband or my baby because nothing is scarier than thinking you’re going to lose them. Life is better now. What need do you think CureDiva will fill for breast cancer patients and survivors? Giuliana: When I heard about CureDiva, I was surprised it hadn’t been created sooner and wondered why I didn’t have this when I was going through breast cancer. Going through treatments, it’s so hard to know what products you need and where to go. The great thing about CureDiva is that it specifies to your needs and helps you based on what you’re going through at each phase. Now because of CureDiva, women have a more accessible support system, and can still feel like a diva through their treatments. I wish CureDiva was around when I was going through it all. Other than fitness, are there are other wellness practices you swear by for staying healthy? Giuliana: Besides fitness, having a positive attitude and eating well can help you stay healthy. After undergoing breast cancer treatments, there is always that slight fear that it might come back. For the first couple of times I went in for blood work, I was convinced I was going to get bad news. The only thing that takes that away is time. When you finally get over that fear, you live a full healthy life. How is your life different now, than before you were diagnosed? Giuliana: Rather than being so caught up on eating healthy and working out, I splurge much more than I used to. I still live a healthy lifestyle. Instead of going to the gym 5 times a week I go maybe 1 or 2. I still take care of myself and I still live a healthy lifestyle, but I realize now Life is short and life is precious. I can’t think about the gym every day. I have to be with my husband or my baby because nothing is scarier than thinking you’re going to lose them. Life is better now. Knowing all that you do now as an advocate for the cause, is there any particular thing you recommend all women do as a preventative measure? Giuliana: You have to care about yourself and be proactive about your health. I encourage everyone to share your story because helping someone else is an amazing feeling. CureDiva is a great resource to talk to others going through the same experiences and get great advice. Giuliana Rancic is an entertainment journalist, fashion and beauty expert and television personality with 3 million devoted followers on Twitter. She is the anchor of E! News, co-star of E!’s hugely popular Fashion Police team and has been on the red carpet for every mega-event in the entertainment industry (Oscars, Grammy Awards, Golden Globes) interview-ing the stars and getting breaking Hollywood scoop as well as fashion tips, diet and fitness advice, travel tips and all things pop culture. Rancic is a force both on-camera and off but her remarkable success didn’t come easily. She is a true result of "The American Dream " and an inspiration to people, both young and old. [img-07]She was born in Naples, Italy, in a modest neighborhood, and moved to the United States when she was a little girl. Her love affair with television journalism began before she could even speak English— her parents couldn’t afford a tutor, so she learned the language by watching TV. She received a bachelors degree in journalism from the University of Maryland and a master degree in journalism from American University. While in attendance, Giuliana worked for a Capitol Hill news bureau covering a number of stories related to the Pentagon, Supreme Court, White House and State Department. She lives in Los Angeles and Chicago with her husband, Bill and their son, Duke.